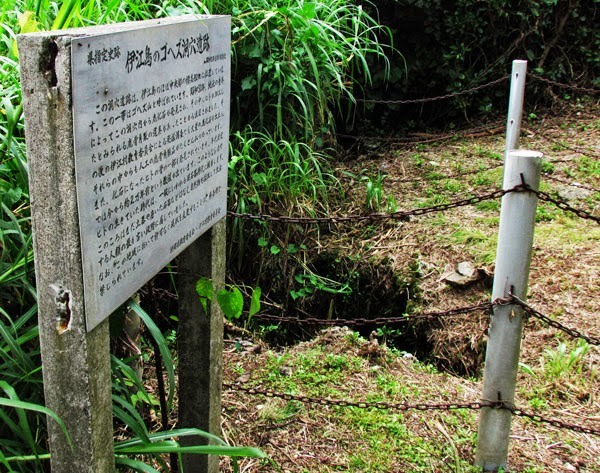 In 1975, explorers made a fascinating discovery on Ie Island in an area called Gohezu Yama (ゴヘズ山). It is here, inside a cave, that human remains were found dating back to the Paleolithic Era (between 2.5 million to 10,000 B.C). Specifically, these remains were thought to originate some time around 20,000 B.C. (1). Deer Remains. 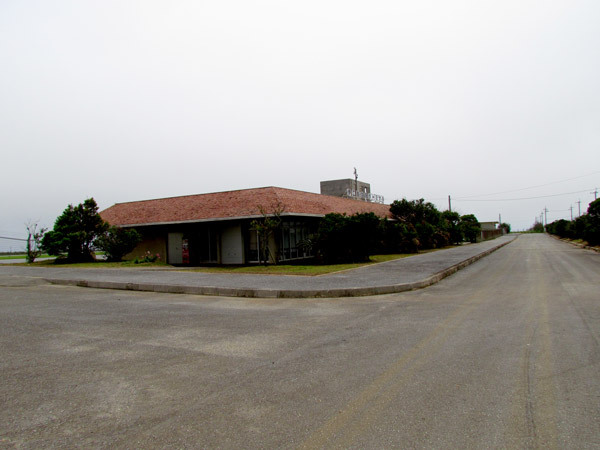 It may be hard today to imagine deer ever existing on Okinawa, particularly on a small island such as Ie Jima. But in addition to the human remains, primitive tools made from deer bones were also excavated(1), suggesting that a species of deer either once thrived there or were later brought to the island. 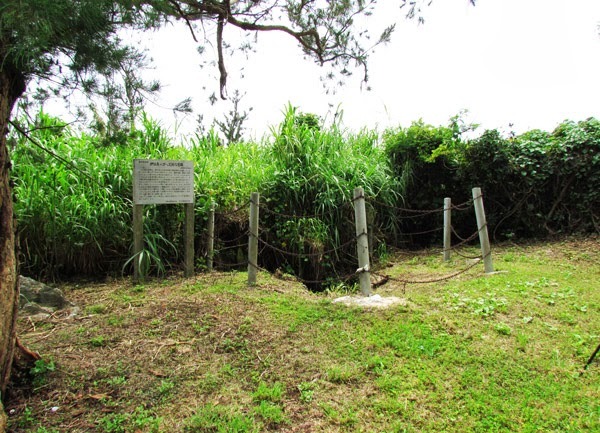 Today, you can find deer on the Kerema Islands of Okinawa, such as Aka Jima, where they are now protected under law(2). The question that obviously comes to mind is 'how did they get there? ', and why were some islands inhabited while others were not. The mystery continues. Interesting Semantics of the Kanji '山' (Yama). Most people have come to understand the Kanji and the word 'Yama', as a word meaning 'a mountain'. However, it is not clear why they refer this place as Gohezu-Yama (ゴヘズ山). When you arrive, clearly you will see no mountain that most people have come to conceptualize. The area is somewhat elevated if seen from a distance however. From its highest point, it sits above sea level at 82 meters(1). This confusion with the Kanji, '山', has come up before where local people's concept of the term 'Yama' varies. 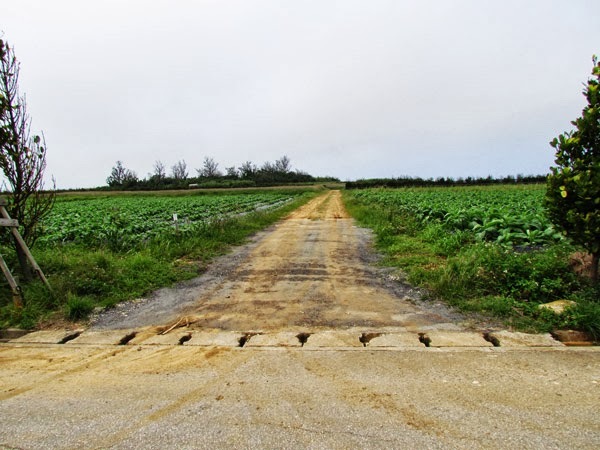 To some Okinawans it may be a piece of land that is elevated above the surrounding terrain, and not necessarily like a real 'tall' mountain like Mount Fuji in Japan. There may be a scientific reason that has dubbed this area as a mountain. Research brought us to a Japanese hiker's website in which the author set out to locate 'ultra-low mountains' (100 meters or less) that are identified in Japan's Yamana Encyclopedia (Japan's Mountain Encyclopedia). On the hiker's website, the Gohezu-Yama Mountain is listed as #26 of ultra-low mountains he has since located. (See website). Note. The Yaman Encyclopedia has yet to be reviewed for its contents on 'ultra-low mountains'. 1. The Gohezu Cave is barred from entry. Please do not attempt to enter. 2. The time period describing the Paleolithic Era may vary slightly depending on sources. It is sometimes referred to as the 'Old Stone Age', describing a period where the first humans made primitive tools out of stone. For more about the Paleolithic Time Period please visit http://archaeology.about.com. Getting to Ie Jima. 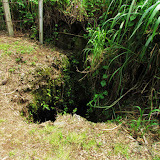 The Gohezu Cave is on Ie Jima Island. Please referred to Map It! Okinawa's Travel Prep to Ie Jima Island. Directions to the Cave. The Gohezu cave is in close proximity to the Ie Airport Facility, which is identified in the LandMark Icon in the map above. There will be a turn-off on the opposite side of the main road that sits along the airport facility. It will be a dirt road as seen in this picture. Follow that straight till you see the cave explanation sign. Other Places of Interest Nearby. Niya-Thiya Cave, Ahashagama Cave, Statue of Asato Gura, Yuri Matsuri (Late April to 1st Week of May). 1. 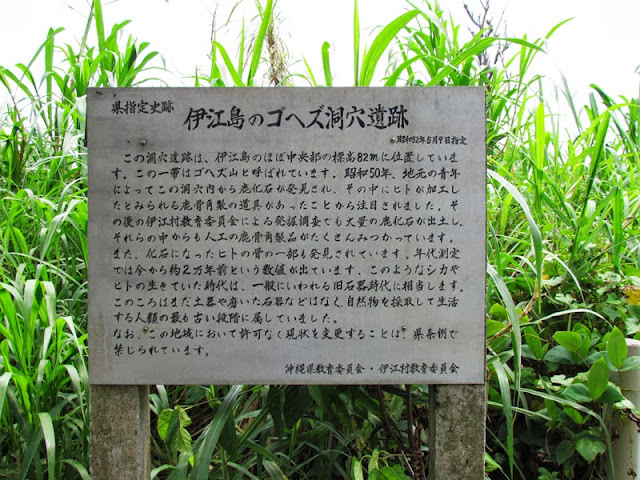 History of the Gohezu Cave, Japanese sign on location, provided by the Ie Jima Education Office. 2. Deer on Aka Jima, Japan National Tourism Organization website.